IPL 2018 KXIP vs RCB live streaming of t20 cricket match will be provided by official partners on their portals. You can watch live cricket match today online on Hotstar, Jio, AirTel, and Star Sports. 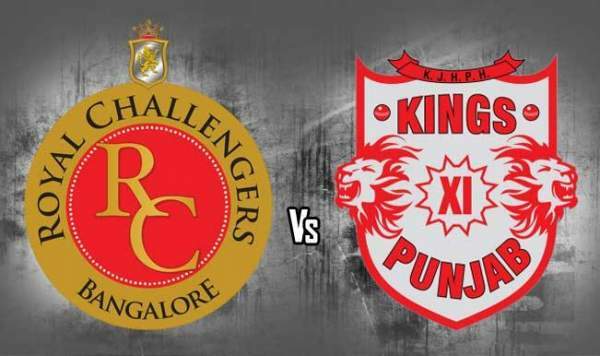 Kings XI Punjab vs Royal Challengers Bangalore is the 48th of 60 matches to be played in this edition. It’s the season 11 of Indian Premier League. Today’s game is scheduled to be played at Holkar Stadium located in Indore, Madhya Pradesh. It will start at time 8 pm IST, after a gap of 30 minutes. The toss will take place as usual, at 7:30 pm IST. The interval will be to get the match going on the ground. As of before this match, Kings XI Punjab stands at number three in the IPL 2018 points table with 12 points in a total of 11 matches so far. Out of those 11 games, KXIP won 6 and lost 5. On the other hand, Royal Challengers Bangalore is placed at number 7 with 8 points in 11 matches – winning 4 and losing 7 so far. If you can’t make it to the stadium itself, then you don’t need to worry about it. It’s because you can catch the latest updates in realtime at your comfort zone and while moving, too. If you have the luxury to the television, then you can go for Star Sports 1 / HD and Star Sports Select 1 / HD for English commentary. If you feel comfortable in Hindi, then switch to Star Sports 1 Hindi / HD channels. However, if you haven’t got the support for TV or you are travelling, then you can opt for IPL free online live stream option. RCB vs KXIP will be streamed live on Hotstar.com, hotstar app, jio tv app, and airtel tv app. R Ashwin led Kings XI will inch closer to the IPL 2018 playoffs with coming victories. While, Virat Kohli’s led Royal Challengers is desperate for victories. Bangalore lies in the bottom half and its fate looks unclear for the next round of play. Three more games are left in the pools. RCB can make it upto 4th spot in the standings table, if it happens to win all the remaining matches. It defeat Delhi Daredevils in its last encounter. Kohli and de Villiers made their team win. For Punjab, the eyes will be on Chris Gayle and KL Rahul.